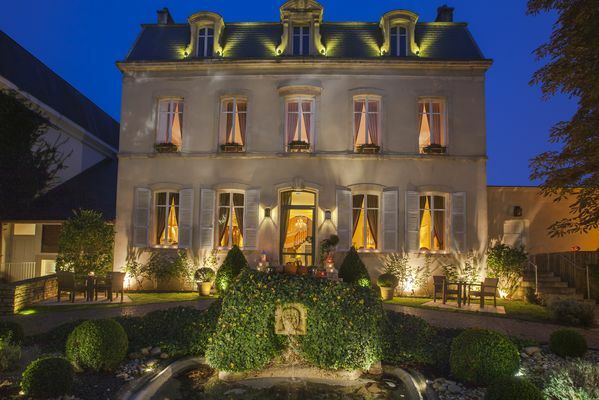 In the heart of an old master winemaker's house from the 19th century with its beautiful garden, the Clos du Cèdre restaurant with its 1 Michelin star welcomes you in. Two settings: the dining room and suite of salons characterised by mouldings, panelling and original wooden floors, and the beautiful terrace in the gardens where you can enjoy summer days. Caring about the quality of his products, chef Christophe LEDRU favours local producers. His cuisine is simple and well presented, prioritising the authentic flavours of the dishes produced. Enriched by the flavours encountered on his travels, the preparation of his dishes skilfully blends vegetables, spices, scented oils and herbs. Burgundy wines are not forgotten; they also occupy a prominent place in his preparations.